PART 3 – TAKING ACTION AND MAKING IT HAPPEN! Boost your results with Massive Action! These blueberry pancakes are super easy to make and still feel like a proper treat. Serve them for breakfast or as a healthy afternoon snack or at any point of the day! If you have issues with oats, you can easily substitute it for buckwheat flakes or similar. In a bowl, mix oats, shredded coconut, coconut flour and salt. Add eggs and coconut milk to the bowl and stir. Add the blueberries to the mix (if frozen). Over medium heat, add some butter/coconut oil to a skillet and pour in portions of batter to your desired size of pancakes (if you use fresh blueberries you add them on top of the batter). Cook for 1-2 minutes until golden brown. Flip and cook for another 1-2 minutes. Serve straight away or let them cool. 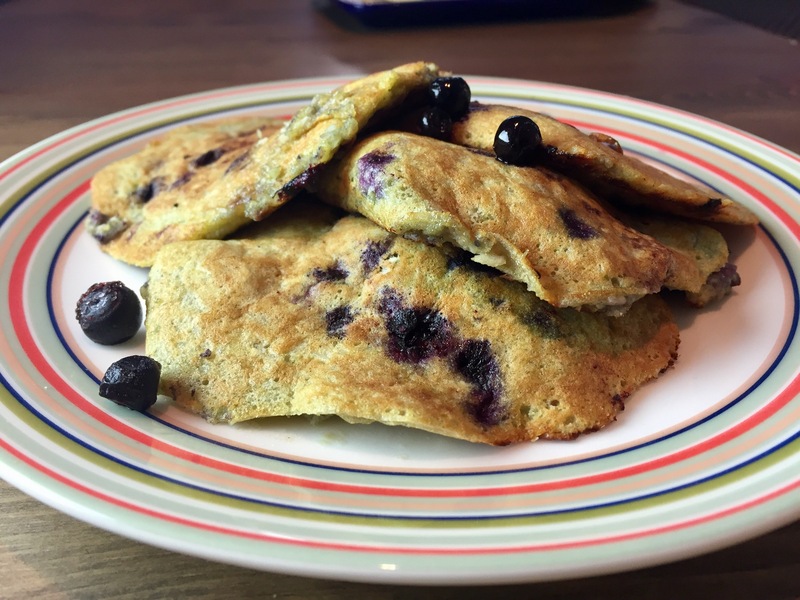 Enjoy your blueberry pancakes with your desired topping such as avocado, nut butter, coconut butter, berries or anything else you can think of. Personally we love them with just some salty butter on top! Eat healthy stuff but be smart about it and pocket the difference!